Crisis Chronicles Press is happy to announce the publication of dual chapbooks by Erie poetry icon Cee Williams on 27 July 2013. 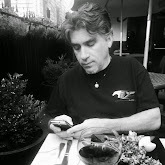 My America features 9 poems on 20 pages in which Cee riffs on the state of our "Union" with passion, compassion, insight, an appropriate snarl when necessary and a keen sense of humor in the midst of it all to leaven the loaf perfectly. Poems include "Troop Zero," "Yellow Ramparts We Play," "Parental Indiscretion," "Jerry's Kids," "You Picked a Fine Time to Spank Me Lucille" and more. My America comes ready to eat and promises to satisfy the most ravenous poetic hunger. Bus Riders in the Storm is quintessential Cee Williams, reimagining the lines between poetry and flash non-fiction with a 6 pack (on 20 pages) of full-bodied and thirst-slaking wordworks. Highlights include "Jesus Loves Ketchup," "Why Tony Hated Me" and the ROTFLMAO mock epic "I Am Lesbian." 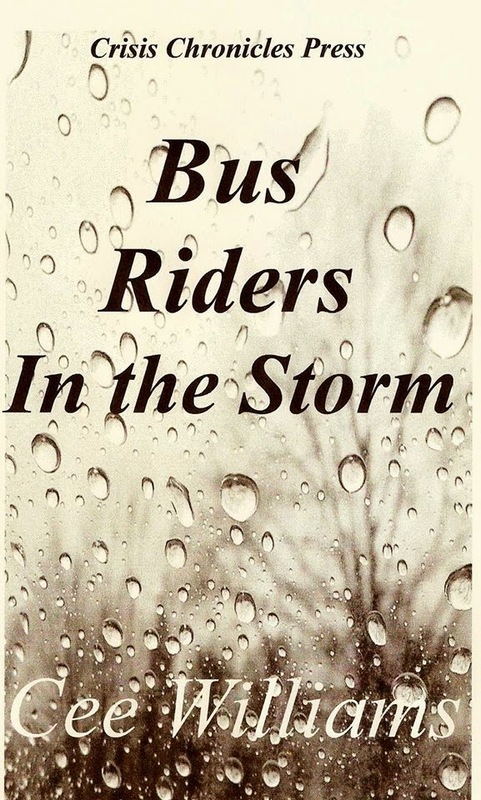 Bus Riders in the Storm also features a cover image by camera queen Chandra Alderman. Be sure to stay properly hydrated through the hot summer daze by ordering your copy today. 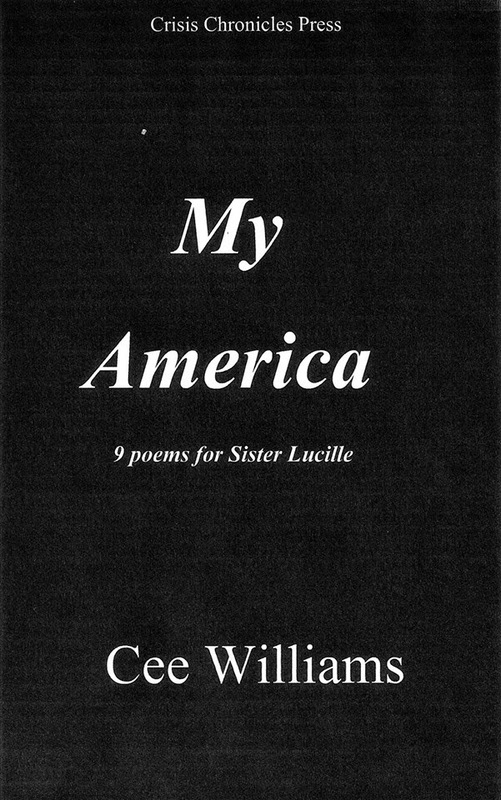 Click here to read "Parental Indiscretion" from My America: 9 Poems for Sister Lucille. Click here to see ratings of My America at Goodreads. Click here to see ratings of Bus Riders in the Storm at Goodreads. My America and Bus Riders on the Storm were printed on ivory paper in Cee's hometown of Erie, Pennsylvania, and are available for $6 apiece (includes postage) from Crisis Chronicles Press, 3431 George Avenue, Parma, Ohio 44134 USA. Buy them together and save $2 (yes, that means only ten bucks for the pair, with free postage!). It's Cee Williams double time. Belly up to the Crisis Chronicles bar and get yours while supplies last. 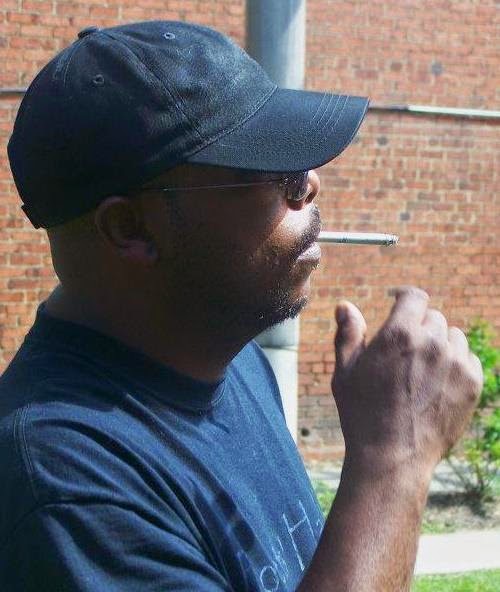 Cee Williams is the founder of Poets' Hall – The International Fellowship of Poets and Spoken Word Artists, a community based venue for creative expression, which he operates in of Erie, Pennsylvania. If you're in or passing through the lower Great Lakes region, please come to Poet's Hall on 27 July 2013 to help us celebrate this dual release at the Summer Special Double Feature with John Burroughs and Cee Williams. A donation of $10 or more during this special event will get you copies of both new Cee Williams chapbooks PLUS a copy of John Burroughs' new Poet's Haven chapbook It Takes More Than Chance to Make Change. That's an $18 value all together — and of course the night's entertainment and always fine Hall fellowship are free. Chuck Joy will host. We hope to see you there! P.S. If you haven't yet gotten one, we still have copies of Cee Williams' acclaimed 2012 Crisis Chronicles Press chapbook 12 Poems available as well. Thanks again and again for your love and support! Elyria: Point A in Ohio Triangle by Alex Gildzen -- Originally published as a chapbook (CC#4) in 2009. This new Kindle edition includes a couple of new poems and a bunch of added photos. Blue Graffiti by Dianne Borsenik -- Originally published as chapbook CC#11 in 2011. This Is How She Fails by Lisa J. Cihlar -- Originally published as chapbook CC#23 in 2012. White Vases by John Swain -- Originally published as chapbook CC#26 in 2012. Angel by Sandy Sue Benitez -- Originally published as chapbook CC#33 in 2012. Barry Merry Baloney by John Burroughs -- By Crisis Chronicles' founder, originally published as an extremely limited edition chapbook (30 copies) by Spare Change Press in 2012. Because we weren't ready to see it go out of print so soon, we republished it on Kindle.